In a court filing , prosecutors said former Trump lawyer and fixer Michael Cohen arranged the secret payments at the height of the 2016 campaign “in coordination with and at the direction of” Trump. 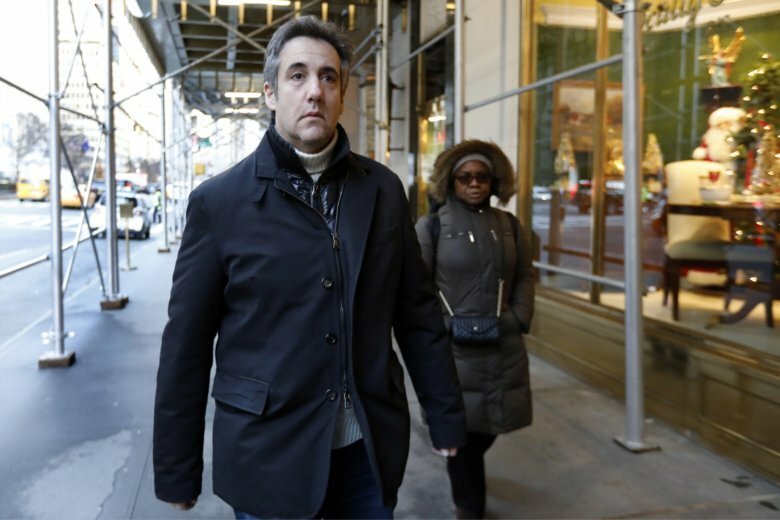 Cohen has previously said Trump was involved in the hush-money scheme, but court documents filed ahead of Cohen’s sentencing made clear prosecutors believe Cohen’s claim. But there’s no ambiguity in Friday’s filing that prosecutors believe Cohen’s act was criminal and Trump was directly involved, a remarkable disclosure with potential political and legal ramifications for a president dogged by investigations. The payments are likely to become a target for House Democrats gearing up to investigate the president next year. It’s unclear whether Trump faces legal jeopardy over his role. Trump denied in April that he knew anything about Cohen’s payments to Daniels, though the explanations from the president and his attorney, Rudy Giuliani, have shifted multiple times since then. Trump, in a Saturday morning tweet, said: “AFTER TWO YEARS AND MILLIONS OF PAGES OF DOCUMENTS (and a cost of over $30,000,000), NO COLLUSION! In August 2016, the National Enquirer’s parent company reached a $150,000 deal to pay McDougal for her story of a 2006 affair, which it never published, a tabloid practice known as catch and kill. In 2015, the company’s chairman met with Cohen and Trump and “offered help with negative stories” about Trump’s relationships with women by buying the rights to the stories, prosecutors said. An audio recording released by Cohen in July appeared to capture Trump and Cohen discussing buying the rights to McDougal’s story from the Enquirer’s parent company. Trump’s lawyers have said the payments were never made. Former Sen. John Edwards, who sought the Democratic presidential nomination in 2008, was indicted in 2011 in connection with payments made on his behalf by a wealthy campaign donor to keep Edwards’ mistress quiet, which prosecutors argued amounted to illegal campaign contributions.